Sear chop on both sides over medium high heat in 3 Tbls peanut oil. After turning once, baste the remainder of the liquid onto each side of the pork chop. Reduce heat to medium and turn to coat completely until coating caramelizes and chops reach 145-150 internal temp. 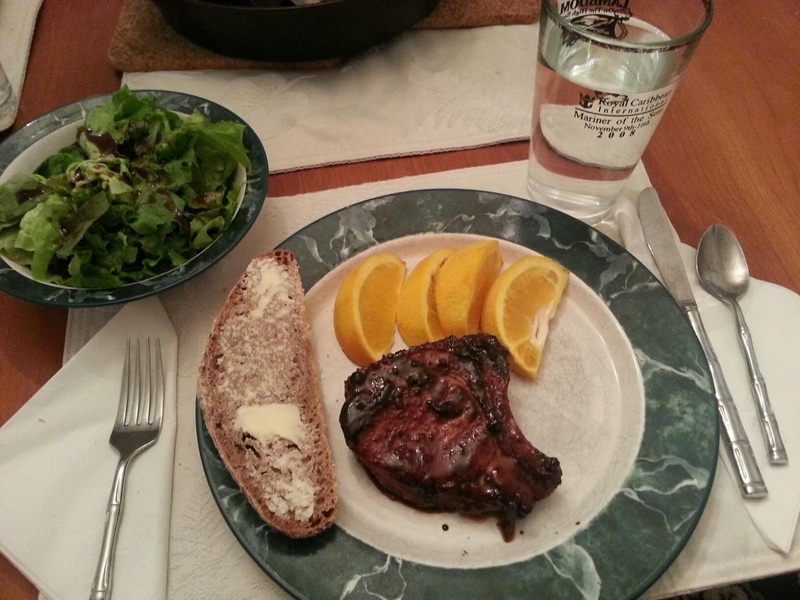 Serve with fresh orange slices, baked whole wheat bread, a salad with balsamic dressing. Pairs well with Pinot Noir or a semi-sweet Reisling.